HTC announced the Vive Focus – its first standalone VR headset – a year ago, but all this time it was available only in China. No more, the Focus is going global to match its “world-scale” capabilities. This headset will be available in 37 markets and will cost $600 in the US (note that the regular Vive for PC is $500). The Vive Focus Advantage service program brings up to cost to $750, but offers dedicated professional support and is aimed at businesses. The Vive Focus is powered by a Snapdragon 835, matching the new Oculus Quest ($400, Spring 2019). The 2,880 x 1,600px AMOLED screen offers identical resolution as well. This screen offers 110° field of view, just like the pro-grade Vive Pro. The Focus also boasts built-in speakers and a big enough battery for 3 hours of uninterrupted wire-free virtual experience. 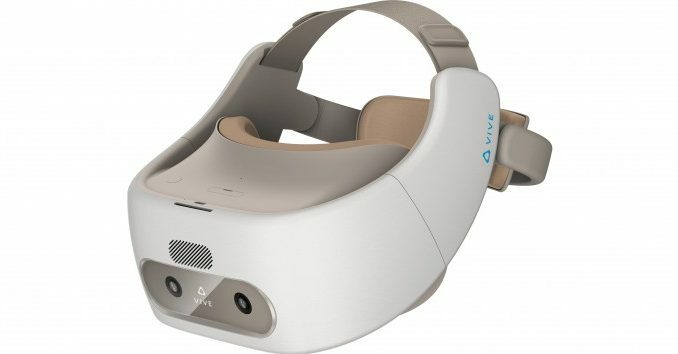 The headset is powered by the Vive Wave VR SDK, which enables the content at the Vive Port store to run on various other headsets. Like the new Shadow VR by Shadow Creator. It’s another S835-based headset and it has two 2,450 x 1,440px screens. The Shadow boasts in-house 6 degrees of freedom controllers as well as a “holographic 3D UI” called Blue Cat.